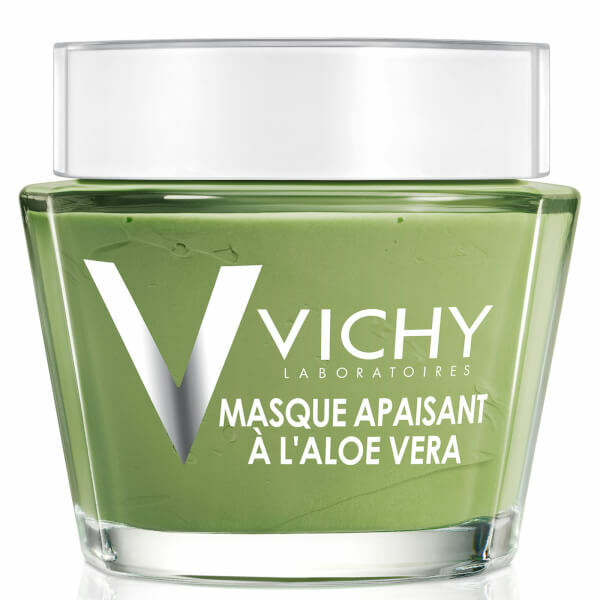 Envelop dry and sensitive skin in a veil of refreshing comfort with the Vichy Softening and Soothing Aloe Vera Mask. 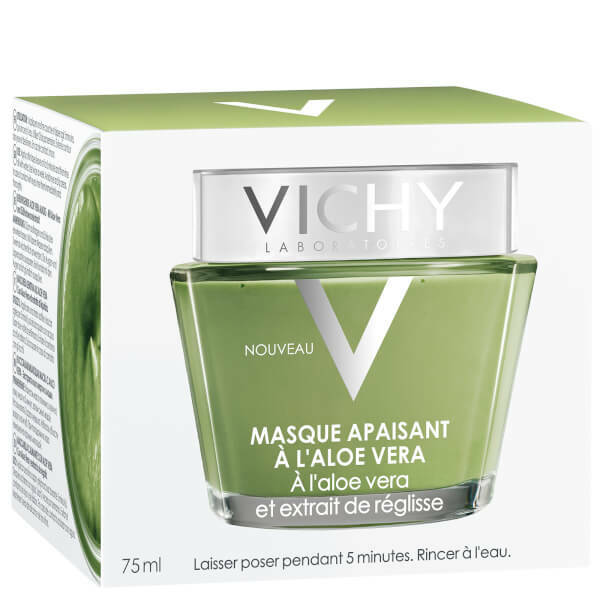 The deeply hydrating face mask provides immediate and lasting relief from redness, soreness and irritation, utilising a blend of Mineralising Thermal Water, Liquorice and Aloe Vera to replenish intense moisture. After use, skin will feel soft, smooth and thoroughly comforted. 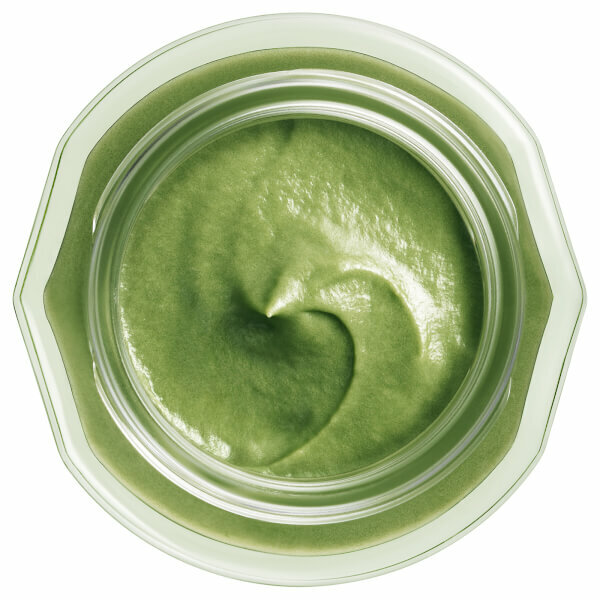 Apply a thin layer and let dry for 3-5 minutes. Rinse with water. For best results apply 1-2 times per week. Aqua, Glycerin, Alcohol Denat., Isopropyl Palmitate, Sodium Carboxymethyl Starch, Polyglyceryl-3 Methyglucose Distearate, CI 15985, CI 77288, Potassium Sorbate, Aloe Barbadensis Leaf Juice, Sodium Polyacrylate, Salicylic Acid, Sodium Benzoate, Jojoba Esters, Dipotassium Glycyrrhizate, Hydroxypropyl Starch Phosphate, Caprylyl Glycol, Citric Acid, Xanthan Gum, Polyglyceryl-6 Distearate, Cetyl Alcohol, Polyglyceryl-3 Beeswax, Parfum.